4k00:10Night to day - rotating Earth. Zoom in on Turkmenistan outlined. Satellite high resolution (86400 px) raster used. Elements of this image furnished by NASA. 4k00:30Realistic Earth Rotating on black space background with stars Loop . 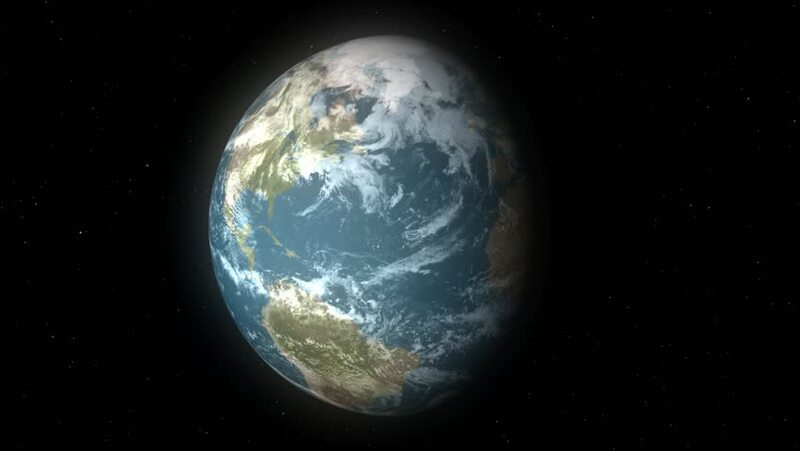 Globe is centered in frame, with correct rotation in seamless loop.